We’ve had quite the winter. 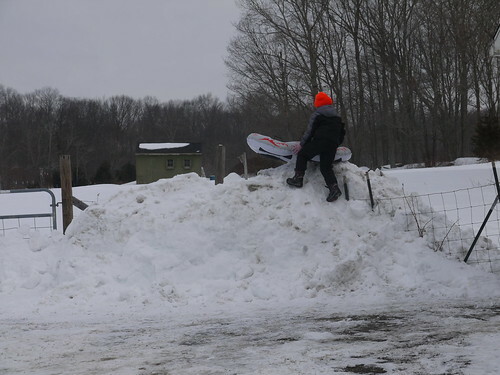 Living in eastern Connecticut, we’re on track for one of the snowiest winters of all time. The last 30-days have been one of the snowiest every, anywhere in the US and February is on track to be the coldest month since records started being kept. In late January, right after our first lambs of the year were born, we were hit by a massive blizzard (the first snow of the season). That was January 27th. Since then we’ve had “record” snowfalls 3 or 4 more times and are on track for the snowiest winter ever, with total snowfall for the year approaching 100 inches. The kids haven’t even had a full week of school since January 12th. Normally I move the snow around with my tractor, but since the weather got cold the hydraulics (which operate the bucket loader) hadn’t been working right – after the first blizzard the hydraulics didn’t work at all. 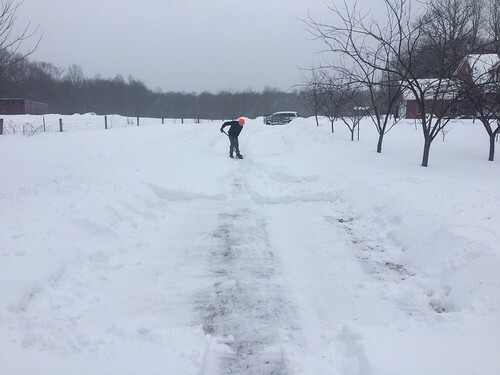 Jamie and I started trying to shovel the driveway (all ~200 feet of it). Jamie had to get into work the next day and neither car was movable. Luckily we got it good enough get the truck down to the bottom of the driveway and called it a night (there was still probably a foot of snow on the driveway). At 10:30 at night, I hear a truck in the driveway. 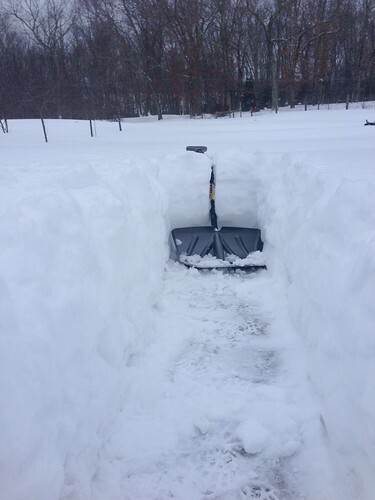 My friend who does snow removal brought his plow over and cleared our driveway. He’d heard we had tractor problems and really saved the day. We had another storm and I finally started getting serious about fixing the tractor hydraulics. The dealer suggested it might be a clog in the filter or intake strainer. Sure enough, after draining the hydraulic oil and replacing the filter, cleaning the strainer and putting in 10 gallons of clean oil, it worked like a charm. Now it’s fairly easy to move the snow around (this was from our latest snowfall, a dusting). It hasn’t been all bad though. 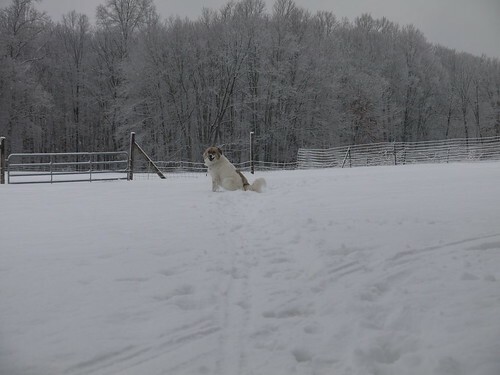 Elsa loves the snow. She’s sitting on at least a couple feet of snowpack. The kids have loved the snow mountains. 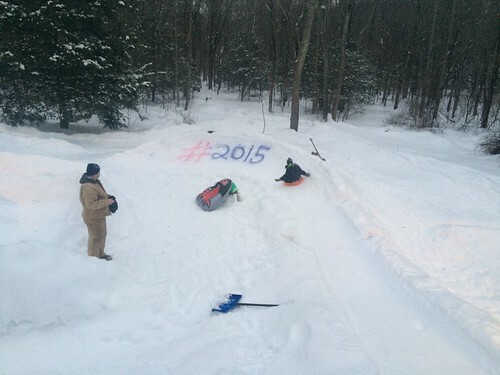 And we were able to go to a friend who’d made a tubing course in their back yard.